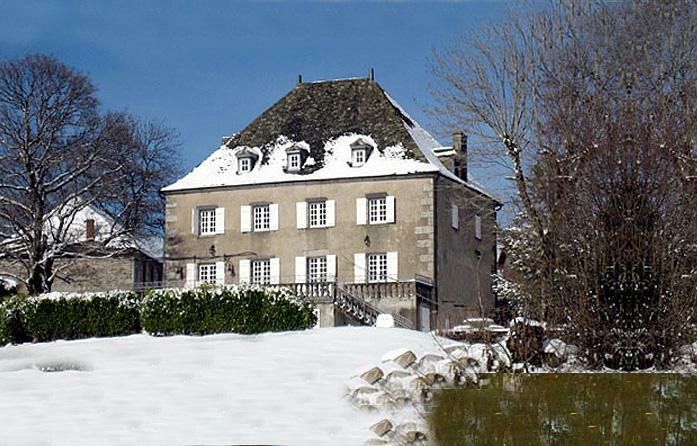 In the Puy-de-Dôme, about 40 kilometers away from Clermont-Ferrand, L'Eclache welcomes up to 10 persons, for a charming stay between genuineness and comfort. 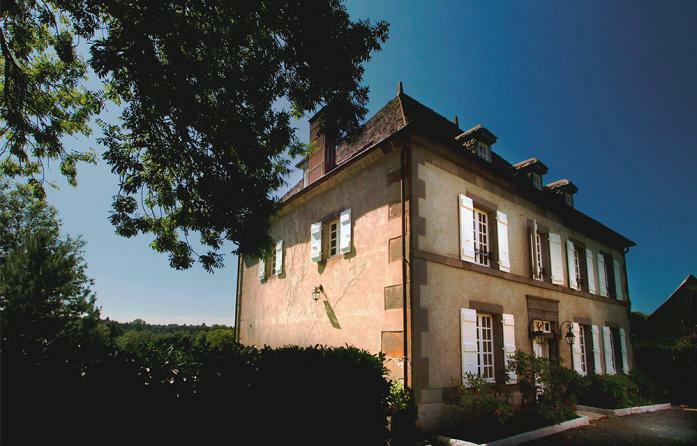 Our charming house right in the heart of Auvergne, has a carefully decorated, warm and comfortable interior. 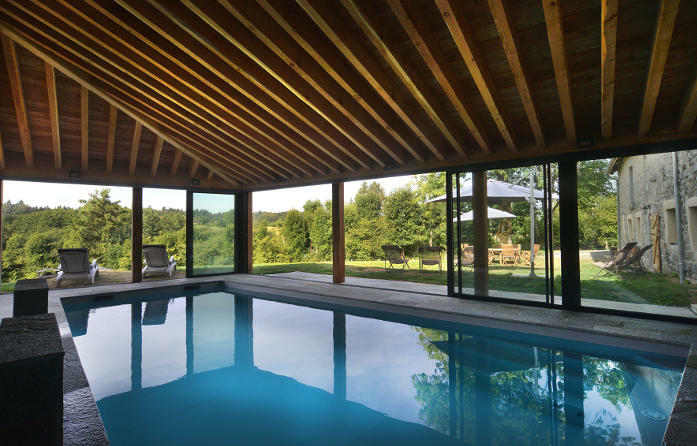 The house offers 4 bedrooms with their own private bathrooms, luxury facilities featuring high-tech equipment and cosy characteristics: somptuous timber work, a magnificent fireplace, piano, spa, heated swimming pool (from mid-June to mid-September)... and some other features you will discover once you're there. 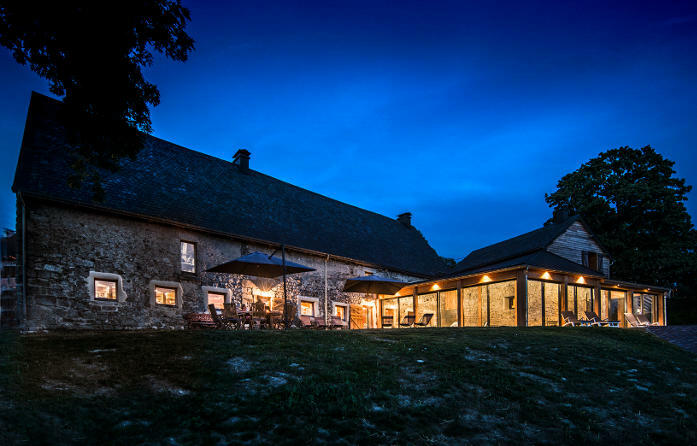 As the first and only 5-star "Gîte" listed in Auvergne, L'Eclache invites you for a well-being amongst friends or family, whether it is just for a weekend or a longer stay. Everything has been made to make your life easier, so you can enjoy your holidays with a complete peace-of-mind. 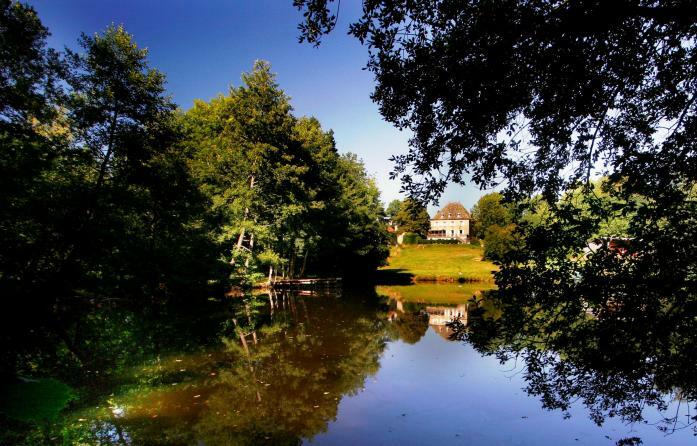 an unusual genuine property rental in the heart of France : L'Auvergne. 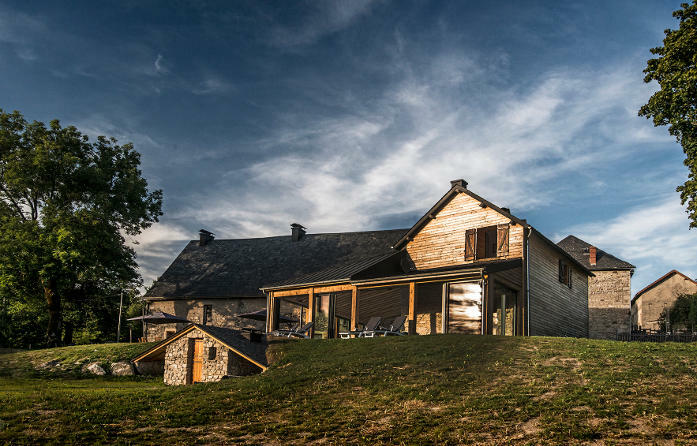 In the Puy-de-Dôme, about 35 minutes away from Clermont-Ferrand, L’Etable welcomes up to 10 persons, for a charming stay between genuineness and comfort. 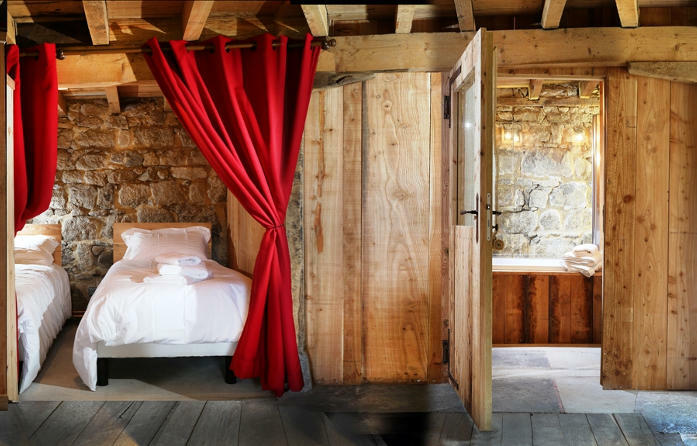 Our charming stable right at the foot of the volcanoes has a warm and comfortable interior. The stable completed by the adjoining cottage offers 3 wooden and stone box beds, 2 bedrooms, and 3 bathrooms, luxury facilities featuring high-tech equipment and cosy characteristics: somptuous 200m² living room, 7m counter bar, cooking piano, stove and chimney, an indoor pool heated all year long with a stunning panoramic view, a lake stocked with organic fishes just down the field... and some other features you will discover once you're there. L’Etable invites you for a well-being amongst friends and family, whether it is just for a weekend or a longer stay. Everything has been made to make your life easier, so you can enjoy your holidays with a complete peace-of-mind.